Shake and vape as is or add Koolada for a frozen cocktail. Not a fan of lime tahity distilled. Overpowers everything for me and tastes like a urinal cleaning agent smells. Adding that to the list of my no-go concentrates. Pretty much just as advertised. I really like this one. I'll have to try it with the Koolada next. This recipe is a good one! 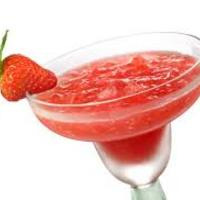 This is definitely a chick drink you'd get from a bar but a perfect one for a hot day. Yep. This tastes like something a chick would enjoy drinking. I honestly don't see much more to do here.